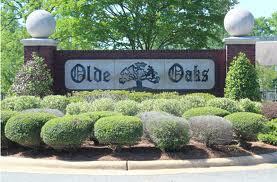 Olde Oaks is Bossier City’s premier golf centered community. Located south of Bossier City, the stunning gated-community’s homes are large and luxurious, with elegant styling and lovely design. The 27 holes woven throughout the subdivision are part of local golf Legend Hal Sutton’s first signature course. This expansive 340 acres of rolling hills, local wildlife, and shimmering ponds is a rescue from the traffic and noise of city life, and gives the homes a tranquil beauty to enjoy. The neighborhood clubhouse offers a pro-shop, locker rooms, a restaurant/grille with a full service bar, and a gorgeous patio that overlooks the grounds. The clubhouse can also host business trips, weddings, and other special events. Living in South Bossier is a pastoral paradise, and Olde Oaks exemplifies this. And it’s not all that far from the conveniences of the city. It is only minutes from grocery, restaurants and other shopping along Hwy 71 or Barksdale Blvd. Wonderful schools are found in this area such as Curtis, Bellaire, and Elm Grove and Parkway High, and they offer quality education to families with growing children. And hospitals are nearby as well, with Willis-Knighton Pierremont just over the Jimmie Davis Bridge or Willis-Knighton Bossier, farther north. All in all, if luxury living set against the backdrop of a top notch golf course is what you’re looking for, you may not need to look further than Olde Oaks.